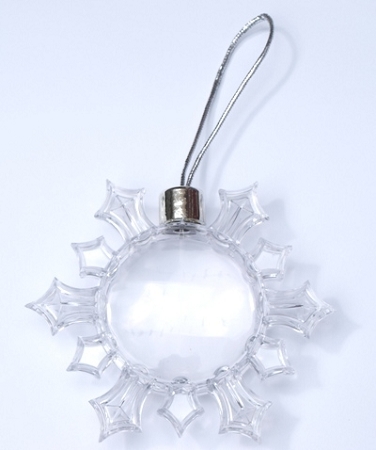 Snowflake Ornament. Takes 53mm dia. photo. Manufactured from high grade clear acrylic. Chrome cap and silver string.